Continuing our Design Spotlight on Lauzon’s Design Seminar, and sharing ideas from Trend Specialist, Cheryl Grant, we’re focusing on the final two influences on design today: Clarity and Artistry. These ideas are gathered from international trade shows in some of Europe’s most design-forward cities, Paris, Frankfurt, Hanover and Cologne. 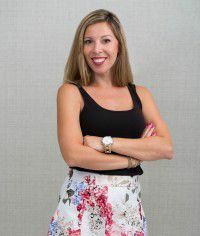 Cheryl offers insights into the mind of the design-consumer today, and how these insights will impact our home design choices. Today’s design offers a refreshing departure from clutter, as our lives become more streamlined and focused. Put the decorations away and let the view from the windows, and quality pieces convey your unique design style. As we shared in the first part of our Design Trends piece, there’s a focus on bringing the outdoors in, and using a natural palette of colours and materials to create harmony and serenity to the home. This creates a subtle backdrop for something truly outstanding to be revealed. Whether it’s a natural view through a wide expanse of windows, a sculptural fixture, or a distinctive staircase in a unique material different from the floor, it will be all the more outstanding when the focus is on it alone. Design lines tend to be uncluttered, linear, and clean. Lighting can be used as the focal point, or it can be used in clever ways to direct attention to a high quality piece of furniture or accent. Furnishings tend to be low, allowing for rooms to be viewed from a cleaner perspective. While the approach is minimal, it lends the maximum impact. Many clients have evolved from the traditional fireplace mantle to linear fireplace inserts, whether gas or electric. Get creative with the cladding and utilize materials like gleaming porcelain and quartz slabs or naturally matte materials like reclaimed wood to make your fireplace the focal point of your Great Room. Cheryl didn’t forget the sizzle of colour and pattern to add a fresh take on design in the home. She offered some modern colour pairings and how they relate to Lauzon flooring, bringing to light some new ways to envision the home. While hardwood drives much of the design in new homes in the GTA today, rugs add a splash of colour and excitement. Cheryl touched upon this trend as well, expanding upon it. A variety of hues are present, with blue remaining the most popular choice in North America. Rugs are showcasing bright colours with asymmetrical patterns that are outstanding in a home with an otherwise neutral palette. 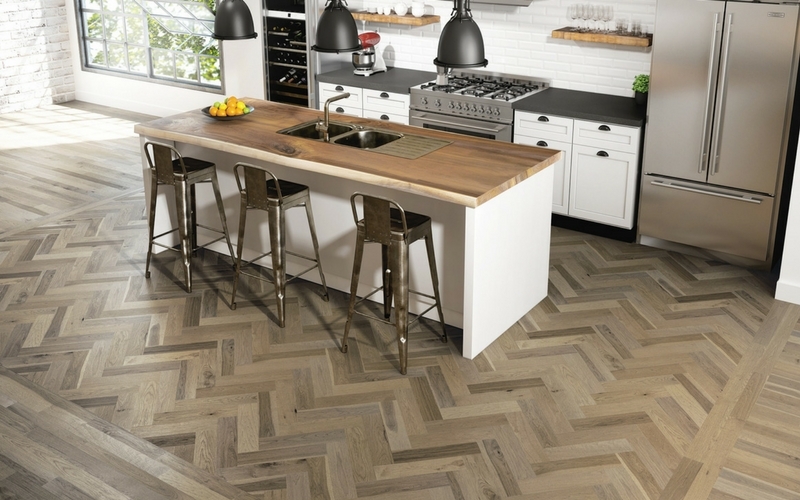 In flooring, some homeowners are opting to using different colours and patterns, for example, chevron patterns. To finish, here are some updated colour tips for choosing hardwood colours. Whether you prefer neutral colours or bold colours or wallpaper, keep your own style in mind, when you’re selecting your colours for your new home. Bold, primary colours, such as red, blue and green, pair well with blond woods. Botanical colours, such as hunter green and raspberry, pair well with light to medium brown woods. Popular colours, the *New* Neutrals, such as rose quartz, pair well with soft white, light beige, to gray woods. Black and White, pair with light or dark woods. We know there’s so much to think about when you’re selecting the finishes of your new home. I can help you decide which finishes suit you best, taking into account both your lifestyle, and your personal taste. Our Decor Studio offers hundreds of colour options, starting with exceptional Lauzon hardwood flooring. OPUS Homes is currently offering a variety of new homes in the GTA, with detached homes in Whitby Meadows, and new townhomes coming soon. We are also open at Origins, offering towns and detached homes in Brampton.